I couldn’t believe my luck when I spotted these beauties in Target’s dollar bin today! 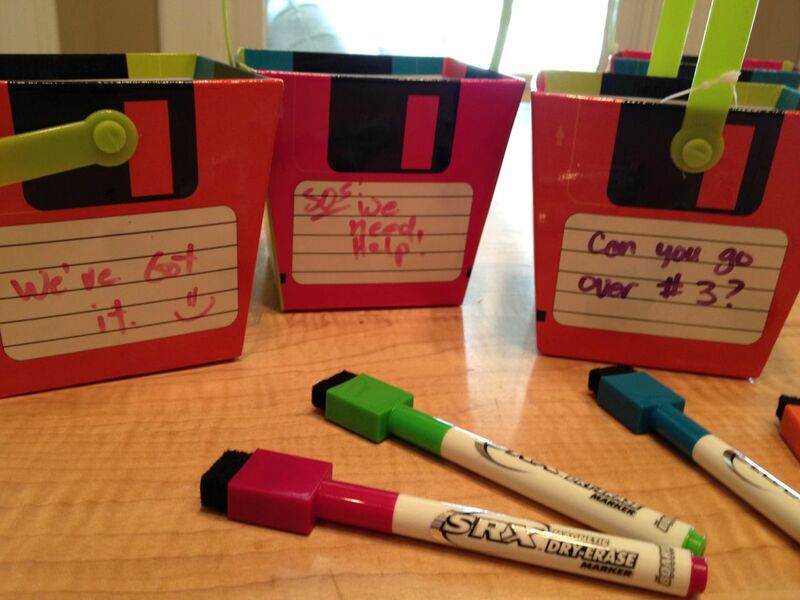 Yes, you are seeing it right, they are DRY ERASE bins! 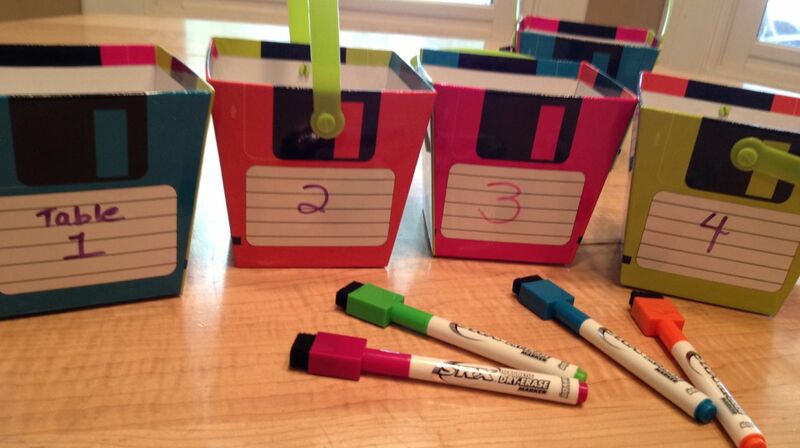 AND, you can write on all four sides! Each side is a different color. I have five tables, so I bought one for each table. I was so tempted to buy 16, one for each student, but thought that may be overkill (or just crazy). The possibilities for this are endless. I had a conversation with @druinok about paint chips yesterday. Kid can hold up a green, yellow, or red one to indicate their current level of understanding. But, we felt bad taking paint chips from Lowes, and also doubted they would have enough for a class set! Then, @MsKLaster then mentioned having, “Need Help” on the side facing the teacher while the side facing them said, “Keep Working” to remind them to keep trying until the teacher gets to you. 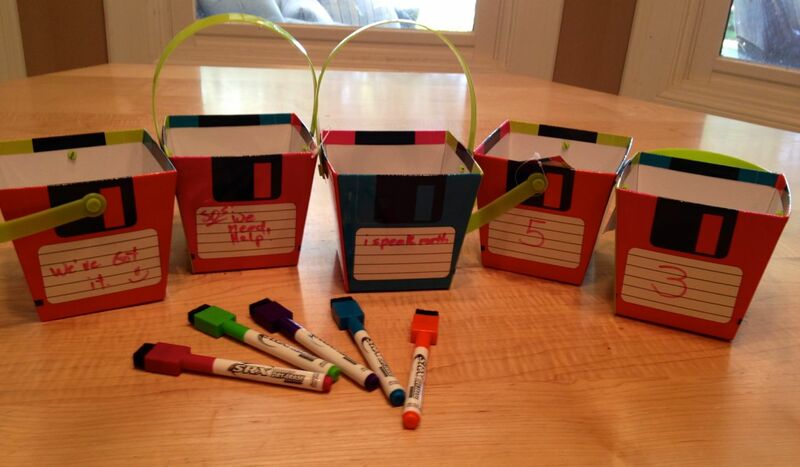 Since I have 5 buckets, I figured this would be great for tables during group work. What else could I do with these?